Situated just 6 miles from Petersfield and 8 from Alton and surrounded by stunning countryside, Privett has always been a prime area for property rentals. 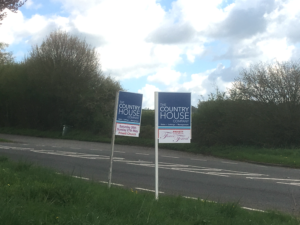 The Country House Company currently has two properties available to rent in Privett and as sponsors of the Privett Flower Festival being held on 26th and 27th May, the focus is firmly on Privett for The Country House Company. Both properties available to rent in Privett are barn conversions, one 3 bedroom and the other 3/4 bedrooms. 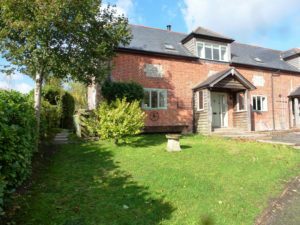 The 3 bedroom property has a large farmhouse kitchen/dining area with flagstone flooring and granite worktops and a spacious sitting room with wood burner and door to the terrace and garden beyond. There is a master bedroom with in built storage and en suite wet room and two further bedrooms and a family bathroom with separate shower. The pretty garden is enclosed and screened by mature hedges. It is mainly laid to lawn with a large terrace, garden pond, summerhouse and log store. There are parking places to the front. The second barn conversion has been recently repainted and refurbished with newly fitted bathrooms. It has an extremely spacious dual aspect living room with wood burner and access to the garden, a kitchen/breakfast room and recently built study/home office which could also be used as a fourth bedroom. There are 3 double bedrooms, all with fitted wardrobes, one of which has an ensuite shower room and there is a further family bathroom. Outside there is a good sized south facing garden to the rear of the property enclosed by mature hedges and gardening is included. 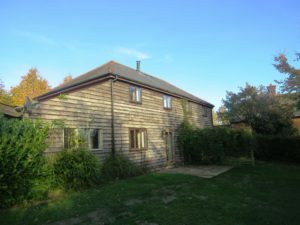 Both properties are located in the heart of the original farmstead and enjoy idyllic views over surrounding countryside yet are within easy reach of Petersfield and Winchester. Both are available from late May for a 12 month period with the possibility of renewal. The Privett Flower Festival is being held at Flower Festival at Holy Trinity Church, Privett 26th and 27th May 2018.